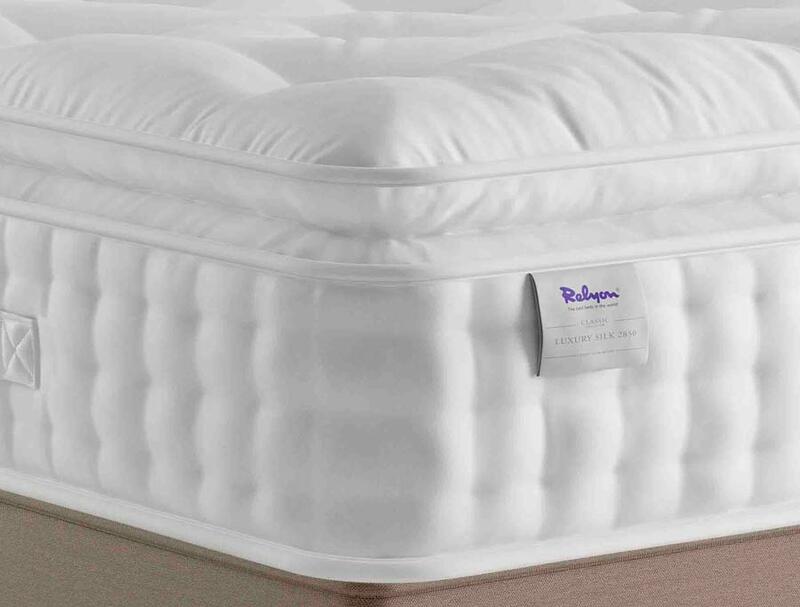 The top model in this new mini range from Relyon is the Luxury Silk 2850 Pocket mattress which comprises of a no turn easy care pillow top mattress that contains a mini pocket spring system in the pillow top with cashmere, silk and cotton filling to give its plump soft top. The mattress is further enhanced with 3 rows of side stitching and edge support to help give more support at the edge of the mattress, it also has hand tufted woolen tufts. This mattress is really only suitable for a firm edge (hard at side sprung in middle) or a solid top platform base. It cannot be placed on a sprung base or a slatted base were the gap between the slats is more than 6cm.